Make a difference for your Huskies — give today! With 650 student-athletes in 22 different sports, UW Athletics relies on you to help cover the ever-rising costs associated with providing each of them with an outstanding education, the opportunity to compete in sports they love, and the chance to leave the University of Washington as principled citizens ready to make an impact on the world. Give the edge. Your tax-deductible gifts to The Competitive Edge Fund support scholarships, academic assistance, enriched learning opportunities, innovative training technology, and coaching recruitment and retention. Purchase season tickets. The best seats in the house are Tyee Club seats. When you purchase Tyee Club season tickets for Football, Men’s Basketball or Women’s Basketball, certain sections require a seat-related gift to the Tyee Club which help support our student-athletes and athletic programs. Become a Game Changer. Our most ambitious fundraising campaign ever gives you the opportunity to shape the future for Husky Athletics. Earn the designation of “Game Changer” by making a tax-deductible gift of $50,000 or more to The Competitive Edge Fund or by establishing an endowment. Establish an endowment. Invest in the future of student-athletes by creating an endowment that will provide a perpetual source of scholarship funding. You may also wish to lend your name to an endowed coaching position or to a program endowment. Leave a legacy. 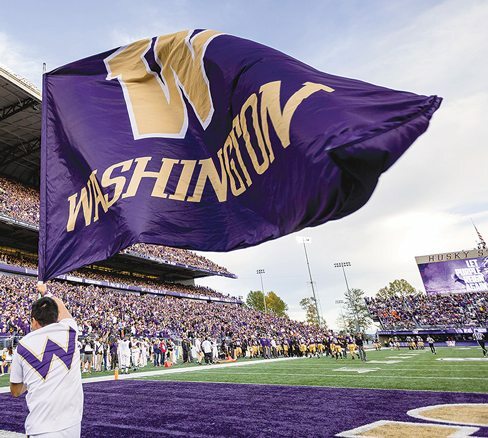 Forever Washington is our special giving society for Tyee Club members who remember UW Athletics in their wills or other estate plans. Your passion for the Huskies can live on with a legacy gift. Support a team. Alumni and fans with a passion for specific sports can give their favorite teams a critical financial boost by making tax-deductible donations. Increase the impact of your gift through employer matching. First, find out if your company matches gifts to the University of Washington. Then, fill out and submit your company’s matching form to increase your impact on student-athletes.